Collectively, these apps and processes are known as Google Mobile Services, or GMS. In order for a phone to have access to the Google Play Store, the full suite of GMS apps must be bundled along with it, so it's all or nothing. In other words, if you want access to Android's main app store, you usually have to put up with all of the extra Google nonsense. To avoid being sued by Google for a violation of the GMS stipulation, most custom ROMs are distributed without the GMS suite, and thus, without the Google Play Store. Users are directed to manually flash the Google Apps (or Gapps) package separately to get access to the app store—but this, of course, comes with all of the privacy, battery, and performance downsides associated with Google services. Bottom line, if you're a custom ROM user, you usually have two options: Either flash the Gapps package and take the well-documented performance hit to gain access to Google's massive app library, or use your phone without it and sideload all of your apps instead. At least, this was the case in the past—but now, an app called Yalp Store will let you download APKs and install updates directly from the Google Play Store without having to install Gapps or the GMS suite. The premise behind this one is fairly simple: If you're a custom ROM user, you can just flash the base ROM file, and skip the Gapps package to save battery life and help keep performance as high as possible. In its place, just install the Yalp Store, which will let you download apps from the Play Store, and even install updates. 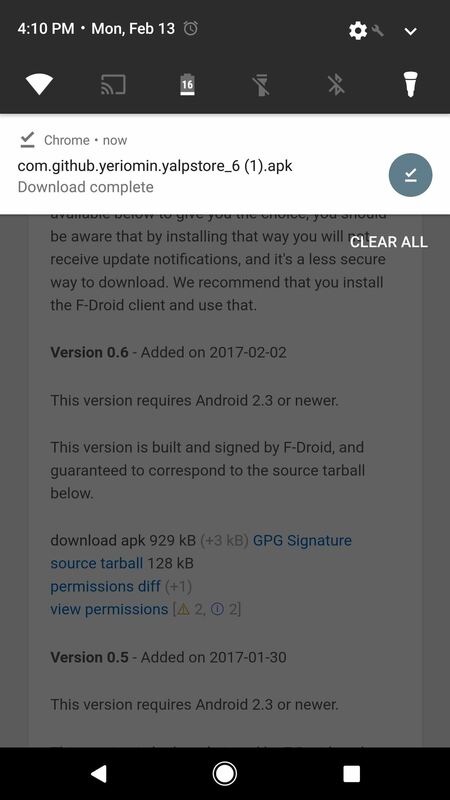 So to start, head to the F-Droid repository, where the Yalp Store app makes its home. 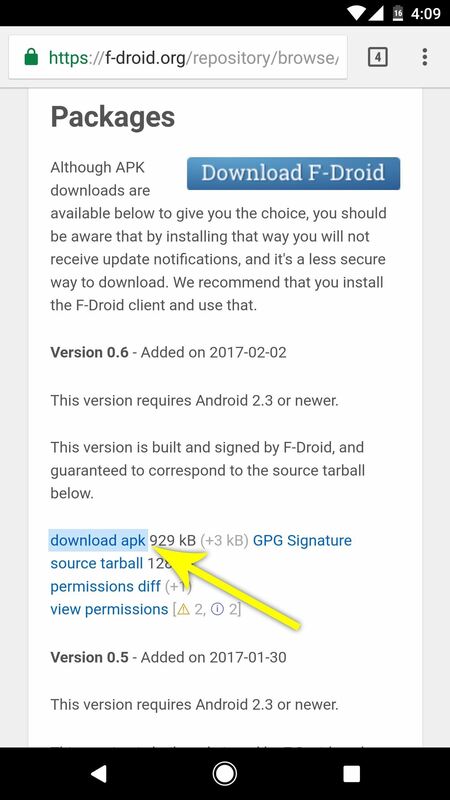 From the app's install page, scroll down to the Packages section, then tap the "download apk" link. When that's finished, just tap the Download complete notification, then press "Install" when prompted. Next, open Yalp Store, and you'll be prompted to log into a Google account. 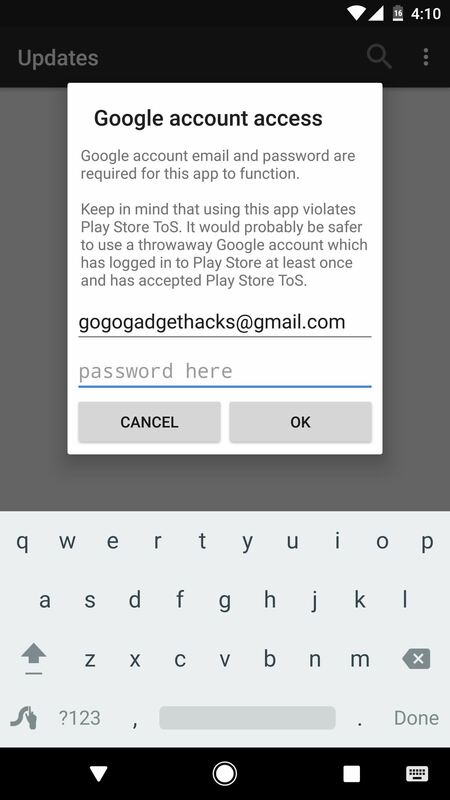 This is a local login that only applies to this particular app, and it's there because the Google Play Store requires a valid login token before it will serve up APKs for download. Once you've logged in, tap the three-dot menu button in the top-right corner and head to Settings. 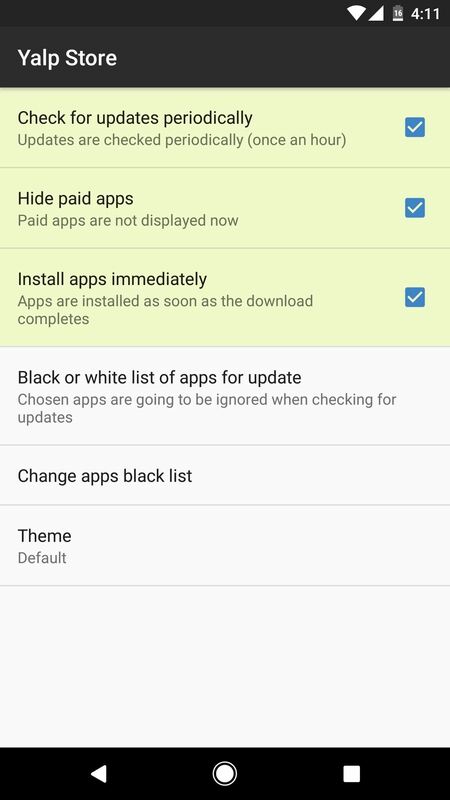 From here, there are three options that you'll probably want to enable—Check for updates, Hide paid apps, and Install apps immediately. The first one ensures that you'll get a notification when one of your apps has an update. The second option is handy because Yalp Store will not allow you to purchase paid apps. And the third option makes the app installation process far more seamless. Once you've got everything set up, using Yalp Store is an intuitive experience. 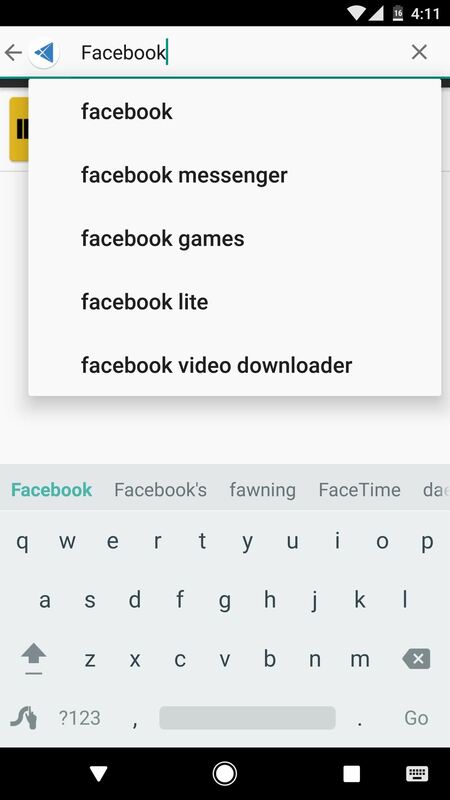 Simply search for any free app on the Google Play Store, then select it from the list. 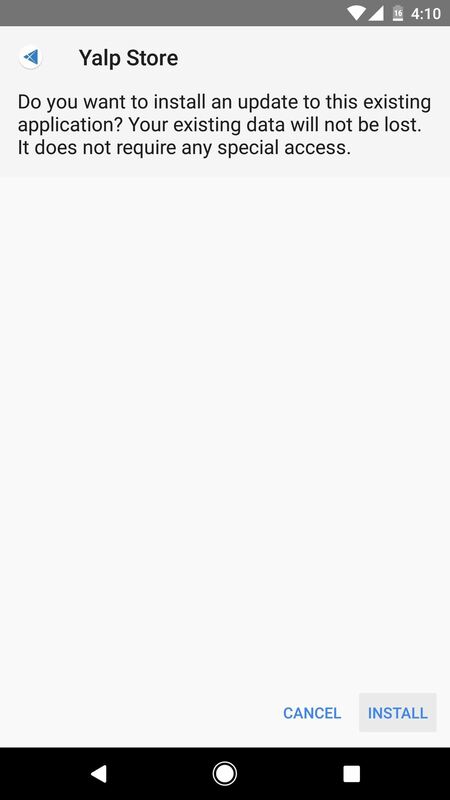 From there, tap the "Download" button, then press "Install" when prompted a few seconds later. 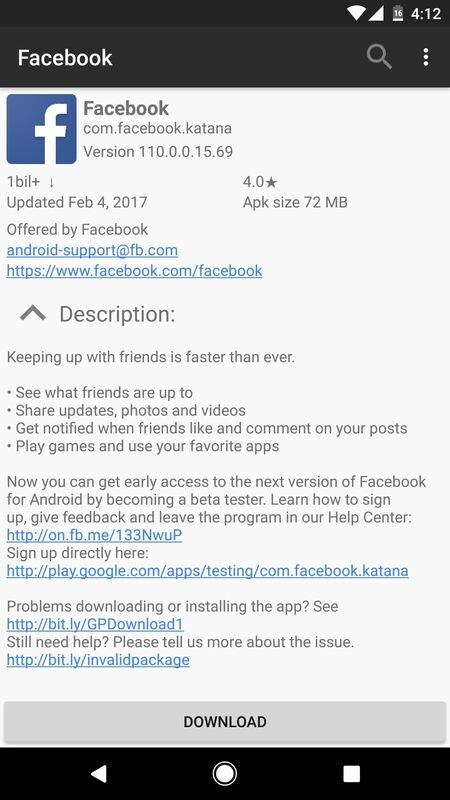 The apps are being downloaded directly from the Play Store, so they're always the latest official versions. To top that all off, you'll even receive a notification whenever your installed apps have a newer version available, and updating is just as simple as installing the app in the first place. There are different packages of Gapps bundle. They vary from minimal (pico, nano, micro, mini) to complete (full, stock and super). Hence by choosing a proper bundle one does not need to install the full range of Google services which hampers performance and battery life of the handset. Anyone who is savvy enough to flash a custom ROM knows about the difference between various Gapps available. 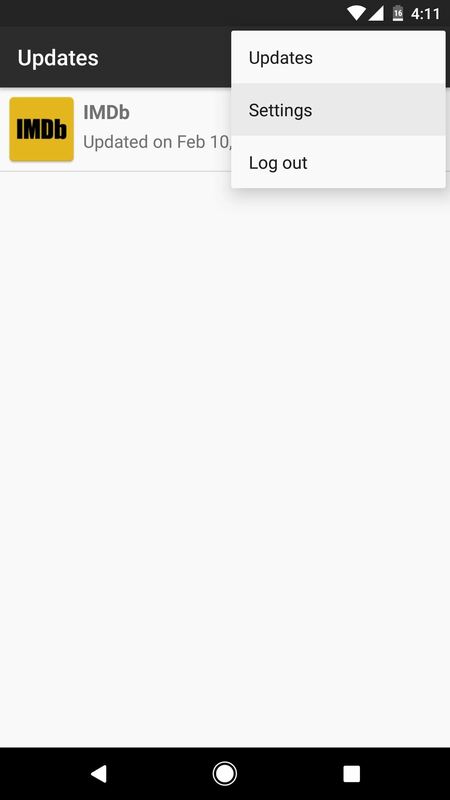 Secondly, to install the Yalp app, one needs atleast a browser and to use it, one has to setup a Google account during the mobile setup/configuration. 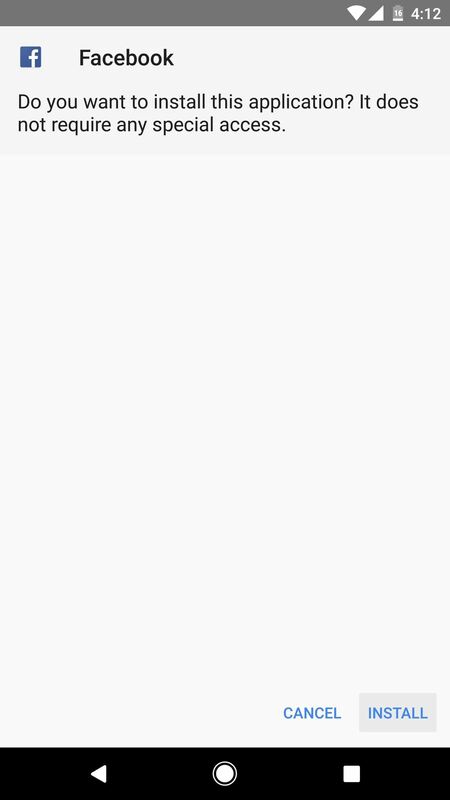 Even otherwise if someone downloads the Yalp apk, prior to flashing a custom ROM, a file manager is required. Hence IMO, totally avoiding the Google services is not possible. One needs atleast a minimal version of Gapps. Very true. And a lot of apps rely on Google Play Services for push notifications and the fancy location API, so it might be hard for some folks to completely skip a Gapps package. On that front, though, it might be worth looking into microG. It's basically an open-source, more resource-friendly port of Google Services. In conjunction with Yalp Store, I think you'd get better performance and battery life with microG than you would with a minimal Gapps package, all while not sacrificing any core functionality. It didn't work for me. I downloaded the yalp store app with no problem. But, when I downloaded an app from inside the store, it came up with a sign after opening the app, that said, Cannot run without Google Play Services. What else can I do? Thank you for this article! It was clear enough to get my Fire HD 8 up and running with several Google Play Store apps. So far, everything I've tried, has worked.